All children need kind and consistent discipline and good parenting calls for plenty of attention regarding incentives for good behaviour as well as reasonable punishment for naughtiness, such as lying or disregarding established rules. Teaching kids that their actions have consequences takes time and patience, but when nursery owners are able to work with parents so that children are asked to adhere to similar guidelines both at home and when they are in daycare, everyone benefits. Children, like the rest of us, tend to respond well to positive reinforcement, so staff members at nurseries are wise to look for ways to provide kids with encouragement for their good deeds, rather than keeping all of the focus on pointing out the things that kids do wrong. Smiles, hugs, and verbal acknowledgements show children that their good behaviours are not only noticed, but appreciated. There are going to be times, of course, when kids will need to be corrected, but most children are eager to please and will behave appropriately when they find that their actions do not go unnoticed. It is reasonable to assume that school aged children should have a better understanding of what is expected of them than their younger peers, yet some caregivers fail to take children's ages into account when they consider the capabilities that kids have to not only grasp the rules, but to have the self-control to follow them with consistency. 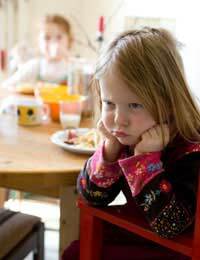 Very young children are typically not mindful of their behaviour at times, especially when they are hungry, overtired, or not feeling well. As they get older, kids understand that even when they are not feeling top notch, they can still be expected to behave in a reasonable fashion. No matter the age of the child or the offence that caregivers are trying to correct, it is always important to treat children with kindness and respect. Yelling, hitting, or using language that diminishes a child's self-esteem is never permissible, and should not be considered acceptable punishment. Discipline is about teaching children how to behave, yet some adults resort to using behaviours very similar to those that they are hoping to eliminate in children. It makes no sense (and is cruel) for an adult to hit a child as a form of discipline when that same adult is trying to guide the child to settle disputes in a peaceful manner. In addition to forbidding all forms of physically or emotionally hurtful punishments in their day nurseries, owners must formulate concrete policies regarding rules of behaviour for the children in attendance and specify acceptable disciplinary measures that staff members are expected to employ when children misbehave. Most centres adopt policies that include redirecting the attention of youngsters to more acceptable endeavours, short time outs, and a removal of privileges for kids who refuse to comply with repeated requests for good behaviour. Given proper guidance and motivation, most children will learn to behave well without much ado. Learning and utilising methods of discipline that encourage and reward good behaviour can mean that caregivers rarely have to resort to punishments in order to run their centres smoothly, with groups of children that are happy, cooperative, and behaving in ways that make them pleasures to be around.